A reader wrote in to say that she’s having trouble getting her 2007 Volkswagen Rabbit to complete OBD II monitors. I shared the following drive cycle wither her, and decided to post it here for others experiencing similar issues with their Volkswagen vehicles. This drive cycle should be valid for Volkswagen engine codes BGP and BGQ. Switch the ignition on and start the vehicle. Idle the vehicle for 2-3 minutes. This executes the O2S Heater, Misfire, Secondary AIR, Fuel Trim, and Purge system monitors. Drive the vehicle at 45-55 mph for a continuous 7 minute period, avoid stopping. This executes the EVAP, O2S, Fuel Trim, and Misfire monitors. Accelerate the vehicle smoothly to 60-65 mph, cruise constantly for 5 min, this executes the Catalyst, O2S, Misfire, Fuel Trim, and Purge System monitors. Decelerate and idle the vehicle again for 3 minutes. This executes the Misfire, Secondary AIR, Fuel Trim, and Purge system monitors. As with most OBD II monitor drive cycles, a complete warm-up cycle is recommended. In other words, let the vehicle cool down completely and allow the vehicle to warm up to full operating temperature from a cold start before commencing the drive cycle. Also, it might be necessary to perform the drive cycle on a weekend morning when traffic is light. Drive safely and observe all traffic laws while performing the drive cycle. Several attempts may be required. Rinse and repeat as necessary. Our customer’s 1999 Toyota Camry CE 2.2L failed the biennial smog check inspection (category: OBD System Checks for being “Not Ready“). In most situations driving the vehicle for a week or two (streets & highway) will allow the vehicle to complete it’s self tests (readiness monitors) and become “Ready” so that it will pass the emission inspection. Unfortunately, our customer drove almost 500 miles and still his Toyota was Not Ready for the following three monitors: Catalyst, Oxygen Sensor & Oxygen Sensor Heater. He asked us to diagnose the problem. 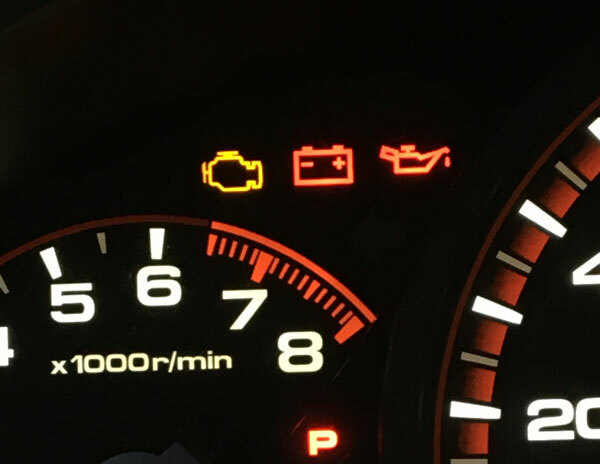 Although there was no check engine light illuminated, there as a pending diagnostic trouble code (DTC) stored in the vehicles computer: DTC P1155. P1155 is a manufacturer specific code relating to the Air/Fuel Ratio Sensor Heater Circuit. Our technician diagnosed the air/fuel sensor and confirmed an open heater circuit. We replaced the a new Denso air/fuel sensor, cleared the fault code, and drove the vehicle. In less than 20 miles of our drive cycle all three incomplete monitors (Catalyst, Oxygen Sensor & Oxygen Sensor Heater) became “Ready”. We re-tested the Camry and it passed. Although in most “Not Ready” failed smog check situations, a vehicle can be driven to become “Ready” and pass a California smog inspection, repairs are sometimes necessary. It is possible to check OBD II monitor readiness on many late model vehicles without connecting a scan tool. This can often be necessary in order to determine if your car is ready for its California smog inspection. What is OBD II monitor readiness? On 1996 and newer model year vehicles, the on board diagnostic system (OBDII) performs up to eleven diagnostic checks of vehicle emission control systems. These checks are performed in the background during normal driving and are designed not to interfere with vehicle performance or safety. If a fault is detected, the power train control module (PCM – The computer) illuminates the malfunction indicator light (MIL – Check Engine – Service Vehicle Soon). If the PCM loses power for any reason (Including a disconnected or depleted battery), or if diagnostic trouble codes are cleared using a diagnostic scan tool, readiness monitors will indicate an incomplete, or not ready, status. In most cases, a vehicle with incomplete readiness monitors will not pass the California smog inspection (See New Readiness Monitor Standards For OBD II Functional Inspection). Driving the vehicle under conditions that meet the monitor enabling criteria should complete most OBD II monitors. This is usually accomplished after fifty to one-hundred miles of normal driving. In most cases, the correct procedure is outlined in your vehicle’s owner’s manual. Consult your owner’s manual for information specific to the car you drive. However, the following procedures are presented as examples. They may not apply to your specific vehicle. Turn the ignition key to the “on” position for 15 seconds without cranking the engine. If the “Service Engine Soon” light blinks eight times, one or more readiness monitors are incomplete. If the service engine soon indicator stays on solid, all readiness monitors are complete. This procedure was included in the Owner’s Manual for a 2012 Ford Focus. This same procedure may apply to other models and model year Ford/Lincoln/Mercury vehicles. Turn the ignition switch to the “ON” position, but do not crank or start the engine. If you crank or start the engine, you will have to start this test over. As soon as you turn the ignition switch to the ON position, you will see the MIL (Check Engine Light) symbol come on as part of a normal bulb check. The MIL will flash for about 10 seconds and then return to being fully illuminated until you turn OFF the ignition or start the engine. This means that your vehicle’s OBD II system is not ready and you should not proceed to the smog check station. The MIL will not flash at all and will remain fully illuminated until you turn OFF the ignition or start the engine. This means that your vehicle’s OBD II system is ready and you can proceed to the smog check station. To check if the readiness codes are set, turn the ignition switch to the ON (II) position, without starting the engine. The MIL will come on for 20 seconds. If it then goes off, the readiness monitors are set. If it blinks five times, the readiness monitors are not set. 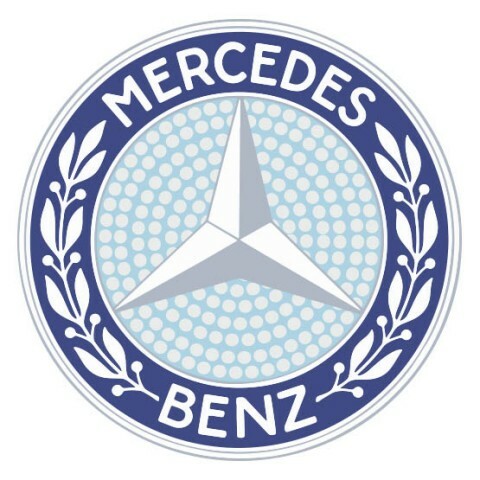 Many drivers have had difficulty completing readiness monitors for their Mercedes Benz. The two readiness monitors that seem to be the most stubborn to complete are: Secondary Air Injection and Catalyst (Catalytic Converter). We located a Mercedes Benz Service Bulletin (S-B-14.00/17) that may be helpful. Also, one customer with a 2002 Mercedes was unable to complete the secondary air injection monitor until one evening he allowed his vehicle to idle for 5-20 minutes in his driveway. He then turned off his vehicle and restarted the vehicle the next morning and allowed it to idle for another 5-10 minutes. He stated that this procedure completed the AIR readiness monitor. Refer to Service Information: P-SI-14.00/14 for historical information. immediately to an I/M station for emission testing. Cycling the ignition key from on – to – off prior to performing the I/M test is not recommended. 2. On-Board Diagnostic System (OBDII) used on the vehicle, are ME1.0, ME2.0 or ME2.1 systems. 3. Performing the drive cycle on the vehicle will take up to 1 1/2 hours. 4. Required tools are: SDS equipment and all required cables. Readiness/function codes cannot be displayed for tests performed on vehicles at altitudes above 8200 feet. are all based on engine temperature. 2. Either remove the SDS connector cover or the engine fuse box cover depending on the model. 4. Enter into the CARS function. 6. Select the gasoline engine for engine type. 7. On the screen labeled Main Function Groups, select Option 1 Gasoline Engine. 8. Select the ME system and press enter. 9. Start the vehicle to enable communication between the module and SDS system. enter, for ME1 under Actual Values Option 9 Performed Tests. • Start engine and increase engine speed to between 2,000 to 2,500 RPM for 2 minutes. conditioning OFF, no throttle movements etc). • After this time period has been obtained proceed to step 2 below. display field or the word PASS. • Drive vehicle for 3 minutes at 70km/h (43 mph). • After the 3 minutes has been reached proceed to step 3 below. • Drive vehicle with transmission still in position D for 3 minutes at 80-90 km/h (48-54 mph). applied to the vehicle, i.e. Air conditioning OFF) for 3 minutes. then decelerate smoothly back down to 1100 rpm. 6. Air Injection Diagnostics: (do not interrupt this test when performing this test step 6). also be simulated by using a decade box to simulate engine cool down). • Start engine and accelerate engine speed to 1400 rpm. • Allow engine to run with increased rpms for 7 minutes (or drive the vehicle for 7 minutes). Park position and allow engine to idle (with no load) for 6 seconds. Do not use A/C. • After this step turn the ignition OFF, wait ten seconds and repeat this test step. canister purge valve, fuel tank pressure sensor, or the shut-off valve. • With gearshift lever in Park position, start and idle engine for 20 minutes (with no load). set, consider driving the vehicle for an additional 20 minutes. The catalyst monitor on many Toyota vehicles can be difficult to complete. That’s why it’s important to follow the Toyota recommended drive cycle after performing actions that are known to clear your Toyota’s computer memory. Remember, all on-board diagnostic monitors are cleared when the battery is disconnected, or when the power train control module (PCM) is cleared with a scan tool. Do not turn off the ignition switch during the test procedure. Allow the vehicle to run at idle until warmed up. Drive at a steady speed between 40 and 70 MPH for 10 minutes. It’s a good idea to stay in the middle of this range, so 55 MPH is optimal. It may take several attempts and warm up cycles to complete the drive cycle. The following is the recommended driving cycle for General Motors.